Fujifilm today introduced their least expensive X mirrorless camera and lens today. The US$599 X-A1 kit comes with the 16-50mm f/3.5-5.6 XC OIS lens, and represents Fujifilm's low end to the X lineup. The new 50-230mm f/4.5-6.7 XC OIS lens now gives low-end X users low cost 24mm to 345mm ability in a two lens set. The choice Fujifilm made to move the X series downscale is interesting: basically the new camera is an X-M1, but with a Bayer sensor and some other slight tweaks. See the database page for the camera on this site for the full info. Note how similar the X-A1 and X-M1 are. What Fujifilm got right is the price. Assuming the X-A1 performs as expected, having a solid entry at this price point is going to be something that adds strength to Fujifilm's lineup. What I don't understand, however, is how the X-M1 is supposed to live in this new four-camera lineup. At US$200 more, the X-M1 doesn't really provide 25% "more" in terms of performance and features, so I don't see why anyone would buy one. This is more of the "we must have a full line of cameras" thinking that got camera makers into trouble in the compact realm. Undifferentiated products aren't worth producing, as far as I'm concerned. In fact, the X-A1 versus X-M1 introduces an interesting marketing problem for Fujifilm: is the X-Trans sensor really worth US$200 more? If so, where does that leave the X-A1? If not, what's all the fuss about the X-Trans? Fujifilm is citing basically the same dynamic range and ISO capabilities for the Bayer sensor X-A1 as they are for the X-Trans X-M1 ("rich tonal expression, increased dynamic range…"). I actually think that introducing a Bayer camera is a high risk for Fujifilm, as it might dilute the marketing message they were trying to make with X-Trans. Fujifilm doesn't specifically state whether the X-A1 has an AA filter or not (I suspect it does), which seems a strange omission if one is present and a damning possibility if it isn't. What do I mean? Well, one of the touted X-Trans advantages was that it didn't need an AA filter. As we've seen in practice, it mostly doesn't, but what we get in return for that is color smearing, usually well hidden, but sometimes it shows up in ways we don't want it to, just as the moire we were trying to avoid does. An AA filter on the X-A1's Bayer sensor would smear detail. So Fujifilm's between the rock and a hard place in terms of marketing message. Worse still, if the X-A1 doesn't have an AA filter but produces images as good as (or worse, better than) the X-M1, then the whole X-Trans hype would turn out to be just that, hype. Obviously, it would be tough to market a camera that "has slightly less imaging capability" than another similar camera in the lineup, but that seems to be exactly the problem that Fujifilm has taken on. Either that, or X-Trans wasn't a meaningful technology long term. I, for one, am very interested in seeing how the image quality thing plays out on the X-A1. The XA-1 and 50-230mm lens announcements round out Fujifilm's mirrorless lineup to four cameras and ten lenses, from low (X-A1) to high (X-Pro1) in cameras, and with a low lens set (XC have no aperture rings) and a higher end lens set (XF do have aperture rings). So this certainly shows commitment by Fujifilm to their X system. But as you can probably tell from what I've already written, I don't believe that it's fully rationalized system definition at the moment. 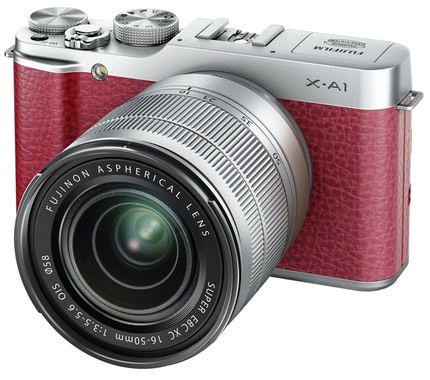 The X-M1, to be truly distinguished from the X-A1 at the higher price point would need more than it has (e.g. optional EVF). I'm also a little worried about the lens lineup, as the low end lenses don't have aperture rings while the top end does, and this introduces some cognitive differences that will slow down the handling of those moving between cameras and lenses. But here's another way of thinking of it: at US$600 the X-A1 lives right at the top of the compact cameras (Sony's RX1 notwithstanding). Yet it's an APS-sized sensor with interchangeable lenses. The Canon G15 is a bit smaller, almost the same weight, but uses a smaller sensor. What's been happening is that the low end of mirrorless is cannibalizing the high end of compacts, especially as models get fire sale priced (e.g. the Canon EOS M, which as I wrote was about the best "compact" you could buy for US$300 when Canon put it on end-of-life discounts). The X-A1 is another nail in the coffin of small sensor, high-end compacts, basically. Funny thing is, Fujifilm makes one of those compacts: the X20, and it's the same price as an X-A1 ;~). At least the X20 has a few things (optical viewfinder, phase detect AF, 1080P/60) that the X-A1 doesn't. Still, what we're seeing is the camera makers trying to fit more and more products into a tighter and tighter space. 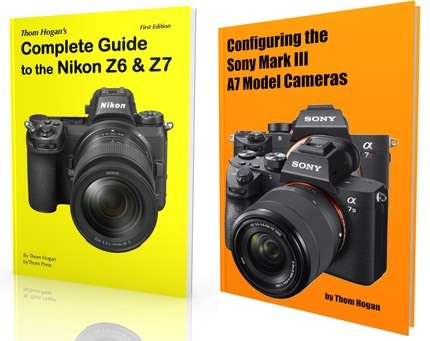 That's good for savvy consumers who know how to prioritize their needs, but it's not helping camera makers get out of the red.